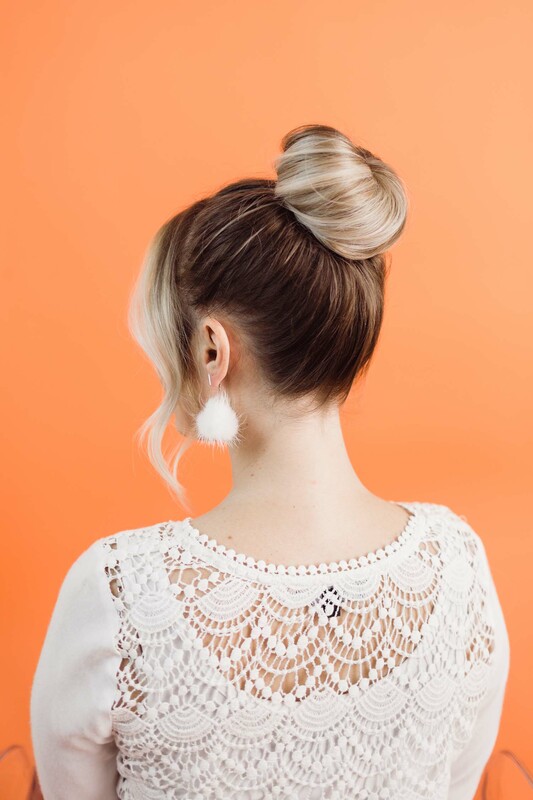 Sometimes a quick messy bun is just not enough! 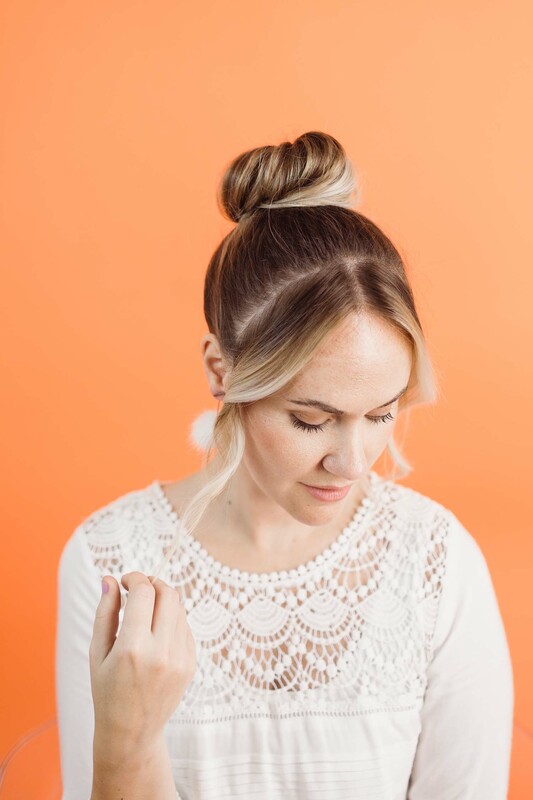 When you’re looking for something sleek, easy and simple, styling a donut bun is definitely a go-to. It’s great for when you have a busy day at the office, but transitions easily as an ultra cute party style. So it’s an all-around win, especially for those “second-day” styles when you’re not quite able to let your hair down! 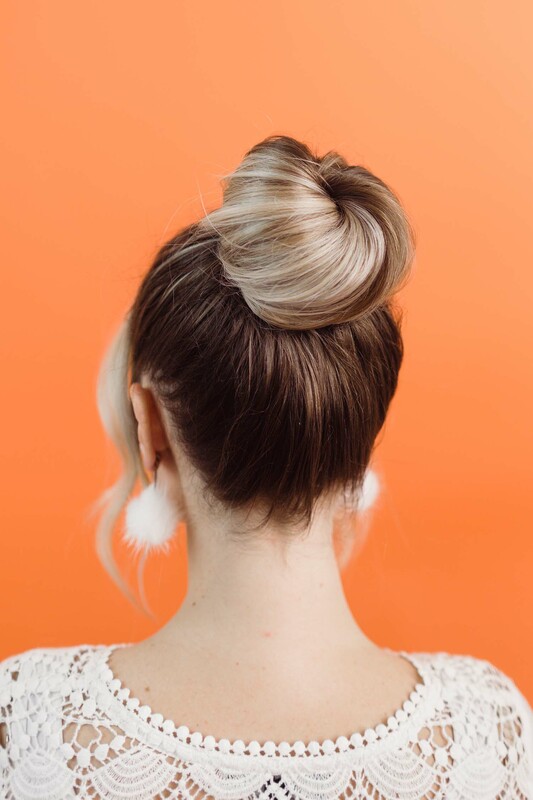 The best part is, even if you have a finer hair texture, don’t worry—using a simple hair donut will add tons of volume to your bun! You can find them in a variety of colors too, to best match your hair. 1. Start with some light texture in your hair, using a smoothing iron or wand. This will give the pieces you leave out some wave and help any stray layers you may have blend better with the bun. 2. Brush your hair up I to a high ponytail (Ariana style!) or wherever you would like your bun to live on your head. Leave out pieces around the face if you have shorter layers to frame and give added style. 3. Using your “donut,” place it at the base of your ponytail, allowing your hair to come all the way through it. 4. 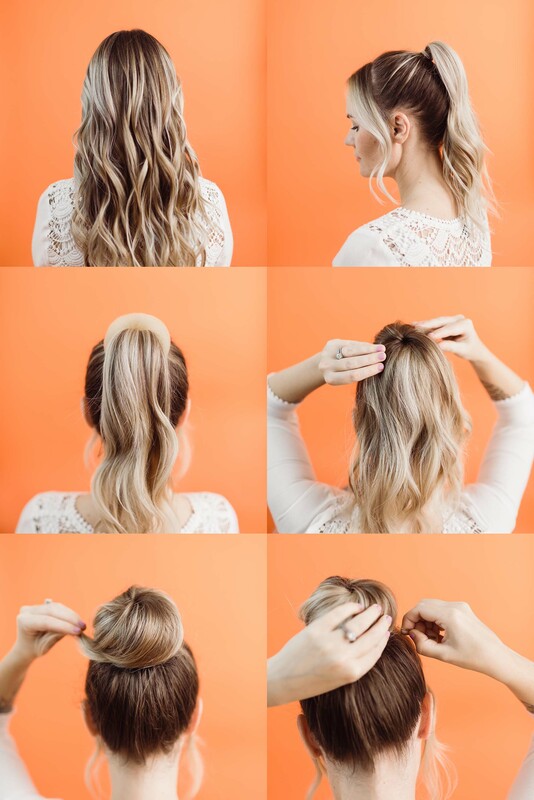 Next, spread the hair from your ponytail completely around the bun, hiding it under your locks! 5. 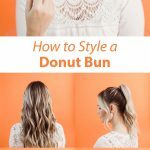 Starting from one edge of the bun, use your fingers to slide the hair under and around the donut, pushing it all in the same direction and twisting it around itself. 6. Use a few bobby pins to secure your bun as you run out of hair to wrap. I like to push them straight down into the edge of the bun, until you reach your scalp. Then gently push it in and on its side, hiding it under the bun. Do a few of these on the perimeter of the bun until it feels secure. Credits // Author: Erin Wheaton. Photos by: Elise Randolph. Hair “modeling” by: Emma Chapman. Photos edited with A Color Story Desktop. I like to use a secondhair tie over the hair and donut then continuing as above . Easy ! So cute – I used to wear this al the time, when I was young….Wonder if I should take it up again??? How beautiful! 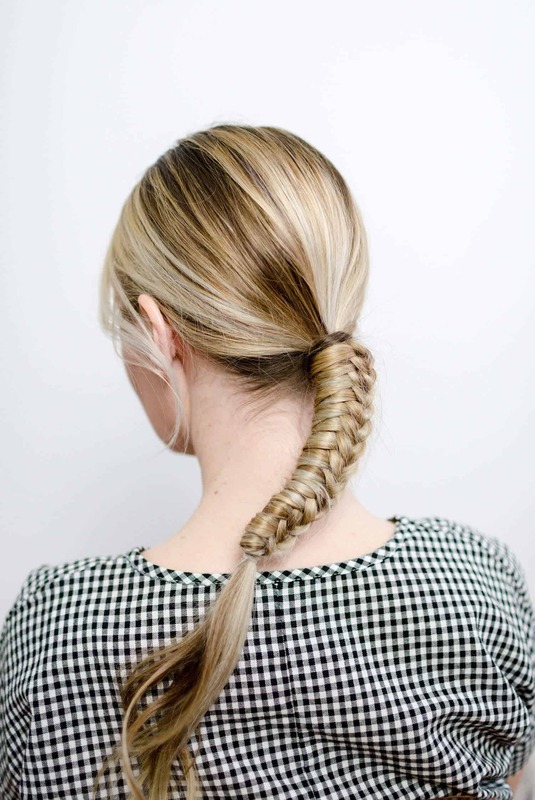 I wish my hair was long enough to do this, because it’s so simple and chic. Love this! My favorite way to wear a sock bun is with a headband. Any idea if this works as well for people with really long, thick hair? My hair is almost down to my hip bones now and my hair buns usually look ridiculous because they’re so big! Haven’t tried this version though…. When I had my hair long, using a donut made my bun waaay too thick. I would put into a ponytail, take 2/3 of it and wrap into bun around the remaining 1/3 and secure to create the donut. then i’d use remaining 1/3 and follow the directions above. It was still pretty big, but looked much neater than my typical messy bun.